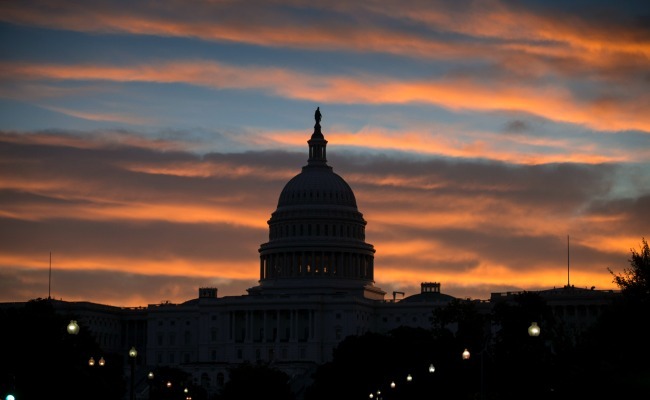 Why Aren't Washington Leaders Negotiating to Avoid a Shutdown? The White House and Democrats say it's up to a divided GOP to sort out the government-funding mess. And no one wants to be the one to pick up the phone. A government shutdown looms, and none of the politicians who are in a position to stop it are talking to one another. Why not? Both Democrats and Republicans have taken up the lack of negotiation as proof of their respective opponents' bad faith as the clock winds down. On Friday, when President Obama announced he'd initiated the first conversation between U.S. and Iranian leaders in 34 years, Republicans complained that he was more willing to talk to America's enemies than to the opposition party in Congress, while Democrats declared it proof that even the Iranians were more amenable to reason than the Republicans in Congress. "I'm always willing to work with anyone of either party," to improve health care, to create jobs, and to create fiscal stability, Obama said late Monday afternoon. But the "differences between the parties," he said, shouldn't be grounds for a shutdown. "Don't ground the entire government, the entire economy, to a halt just because of those differences," he said. Obama has said from the beginning that he won't negotiate over the debt ceiling, which is set to be hit in a couple of weeks. Last time he engaged in such talks, in the 2011 debt-ceiling debate, it ended in disaster. And though Republicans claim they're just doing what both sides have always done by using the debt ceiling for leverage in a budget fight, Dave Weigel looked into it and found that while Democrats have frequently used the debt ceiling as an occasion for grandstanding and complaint, they've never actually prevented it from being raised in order to extract concessions. But the debt ceiling isn't the issue at the moment -- it's funding to keep the federal government running, which is scheduled to expire at midnight. Why don't they get together and talk about that? Again, there seems to be little they could talk about. Just a few months ago, Republican leaders dismissed as absurd the idea of refusing to fund the government unless funding for Obamacare was yanked at the same time. If the idea had died there, we might still be going down to the wire on Monday, but there might well be talks going on about spending levels and timelines. Instead, the defunding idea gathered steam over the August congressional recess, and the conservative wing of the House Republican caucus forced Speaker John Boehner to essentially adopt a gutting of the Affordable Care Act as a precondition for any funding bill. And that's a nonstarter for Obama and Democrats, who see health-care reform as settled law, ratified by the Supreme Court and a presidential election, that the public may not love but has little desire to re-litigate. To Republicans looking to redirect public anger over a potential shutdown, Obama's refusal to engage in this discussion has become a key talking point. "If we’re unable to avoid a shutdown, the president will have to explain why he sat at home and did nothing help find a solution," Boehner's press secretary, Brendan Buck, told me in an email. Yet Boehner has not exactly been lighting up the White House switchboard; he last spoke to Obama on September 20, when the president called to reiterate that there would be no debt-ceiling negotiation. After the fiscal-cliff deal in January, Boehner told his caucus that, after years of failed talks toward a "grand bargain," he was done negotiating with Obama. So he's criticizing the president for not picking up the phone to initiate talks he's not interested in having. Senate Majority Leader Harry Reid has been the prime enforcer of the Democrats' hard line against further talks. As Politico reported, Obama considered inviting congressional leaders to the White House to try to head off a shutdown, but Reid said he wouldn't go and convinced the president to abandon the plan. Democrats worry that Obama has a tendency to give away the store whenever he negotiates in person, and in this case, they don't think any further concessions are called for. In Reid's view, Democrats have already compromised, while Republicans, rather than make concessions, have only increased their demands. "We have already compromised on spending levels, which was what this debate was supposed to be about," a Senate leadership aide told me. "Everyone knows this is the only way out, it’s just a matter of time until House Republicans accept it." Still, Democrats are sensitive to the perception that not negotiating looks bad for them, reinforcing the popular stereotype of Washington as paralyzed by partisan enmity and incapable of compromise. As Democratic strategist Paul Begala wrote on CNN.com, "Every time the president says 'I will not negotiate on the debt ceiling' ... he risks looking unreasonable." (Begala focused on the debt ceiling, but his argument applies equally to the nonexistent shutdown-averting talks.) "As a matter of substance, I strongly agree with his position. But as a matter of rhetoric and positioning, he would be better served to state his position this way: 'I will gladly listen to any idea to improve the Affordable Care Act, or reduce the deficit, or any other ideas my Republican friends might have. But first we have to avoid default. That means paying the bills that Congress has already incurred. Once we've done that we can negotiate on anything.'" So Obama isn't talking to Congress because he and Boehner aren't compatible and his own party won't let him; Democrats in the Senate aren't talking to Republicans in the House because there's nothing for them to talk about; and House Republicans are negotiating with themselves in public by passing a series of doomed bills and furiously trying to deflect blame. Last time we had a version of this situation, during the New Year's "fiscal cliff," the unsung hero was Senate Minority Leader Mitch McConnell, who picked up the phone at the last minute and called Vice President Joe Biden. "Does anyone down there know how to make a deal?" McConnell demanded, and the rest is history. As David Corn notes, McConnell had also been the key to several previous last-minute fiscal deals. But now McConnell faces a Tea Party primary challenger who disparages him for making deals rather than holding the line for pure conservatism. (There's an irony here, or at least a no-win situation: Politicians get criticized for refusing to compromise, but they also get attacked when they try to meet in the middle.) With the last man in Washington who knew how to make a deal apparently done making deals, the chances of a negotiated peace look slimmer than ever.